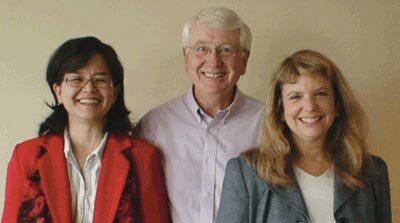 Lorri Lee, MD (left), and Ann Lofsky, MD (right), with Dr. Robert Stoelting, president of the APSF. Dr. Lorri Lee and Dr. Ann Lofsky have recently been appointed consultants to the APSF Executive Committee. Their experience and expertise will certainly make them important additions to our organization. Ann Lofsky, MD, completed both internal medicine and anesthesiology residencies at UCLA before entering private practice in anesthesiology. She is currently a partner in the anesthesia group at Saint John’s Hospital in Santa Monica. For 13 years, Dr. Lofsky served on the board of directors of The Doctors Company, a physician-owned medical malpractice insurer. In that capacity, she has written and lectured extensively on risk management and patient safety concerns for anesthesia providers. She is now a governor emeritus and anesthesia consultant for The Doctors Company.